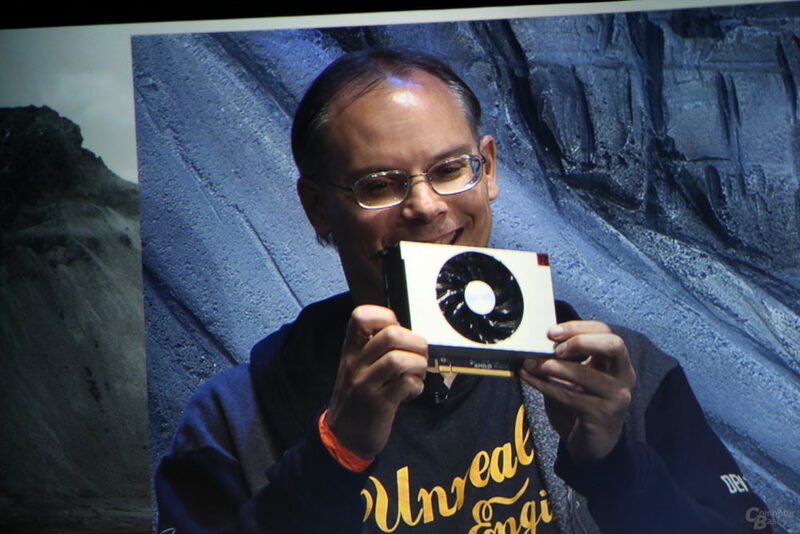 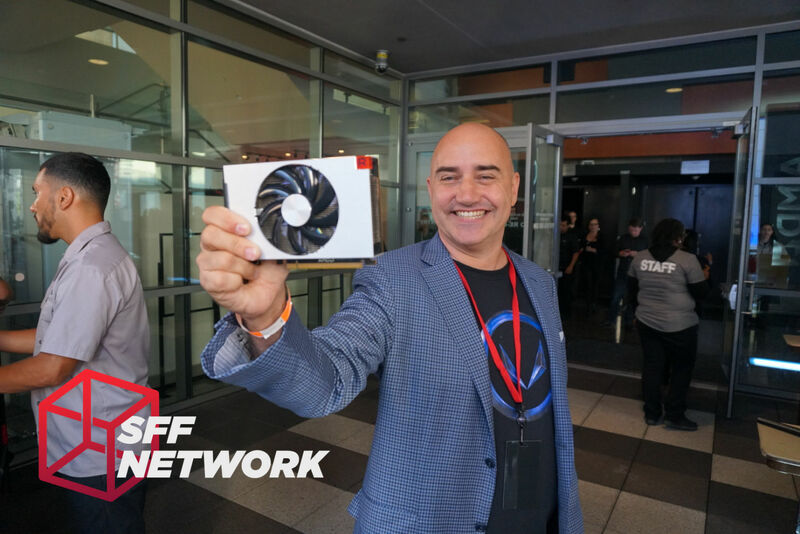 AMD also introduces Radeon RX Vega Nano, a small form factor HBM2-based graphics card. 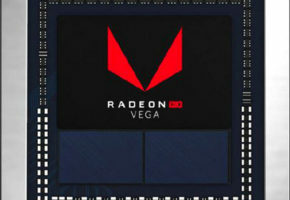 The RX Vega Nano is likely to use higher-binned chips, to ensure fitting into smaller power footprint, a necessity for ITX builds. 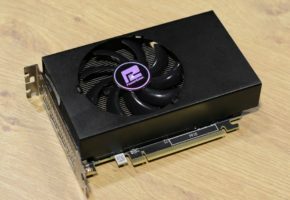 The original Nano had 175W TBP, so this card is likely to have similar value. 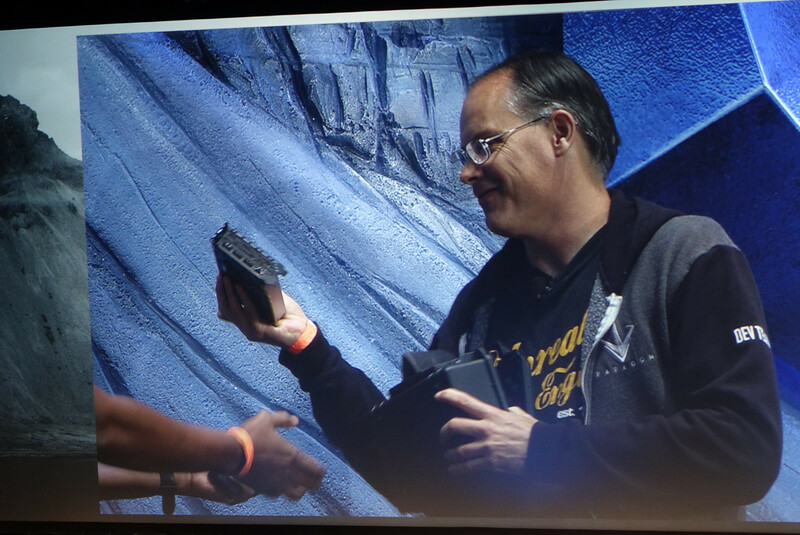 No specs were confirmed, but we expect to hear more about this model in the coming months. 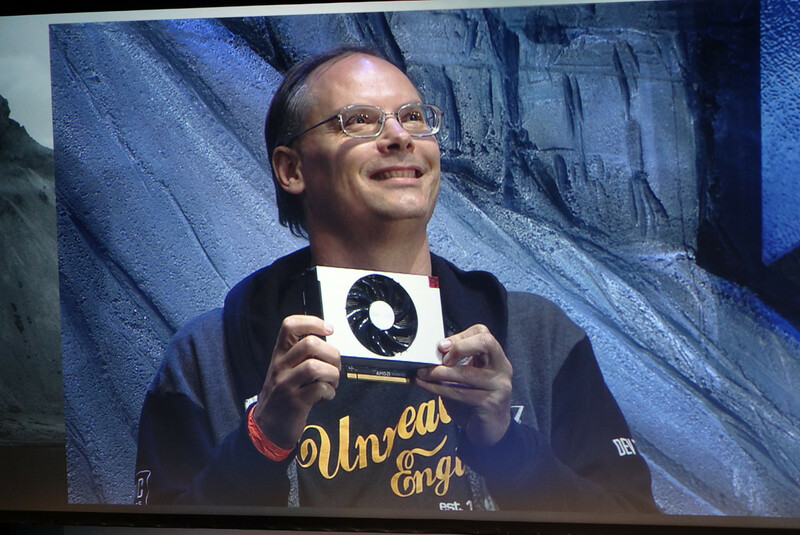 The card was teased by Chris Hook shortly before the event. Later Raja Kuduri gave the first sample to Tim Sweeney from Epic Games.